Jamie A. Lobbenberg, MSN, CRNP is a certified registered nurse practitioner. He received his BSN from Temple University School of Nursing and his MSN from La Salle University in Philadelphia. He is board certified as an Adult Nurse Practitioner. He is a member of Sigma Theta Tau International Honor Society for Nursing and a member of Pennsylvania Coalition of Nurse Practitioners. 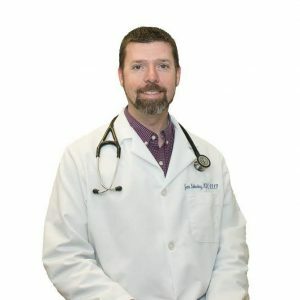 He came to Rheumatology Specialty Center with 13 years within the Abington Hospital Jefferson Health System and also served 8 years as a Hospital Corpsman in the U.S. Navy. He has prescriptive authority in the State of Pennsylvania.